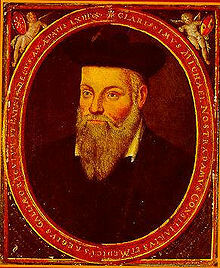 I have always heard Nostradamus who lived many hundreds of years ago predicted many monumental events in history. For example many people believe that he predicted events like the Assassination of JFK, Adolf Hitler, terrorist attacks on September 11, and Hurricane Katrina. Nostradamus is obtaining more of a following recently due to his prophecies indicating that the world is going to end on December 21, 2012. After reading about him in chapter 7 and doing some outside research, I now realize that the Nostradamus predictions were more hoaxes then accurate prophecies. I learned that Nostradamus was a master of using indistinct or vague words and that his words are so unclear that it is hard to attribute it to a specific event until after the event actually occurs. For example, his prophecies about war can be really applied to any war that occurred in history. Also, many skeptics believe that by writing many prophecies involving negative events, Nostradamus maximized the chances that someone confronted with a crisis might look for and find something in his prophecies that would remind them of their own current crisis. Another interesting theory I encountered while researching was that Nostradamus described not future events but events of his own and earlier times, and that he disguised "them in a sort of coded French" because "in his troubled period" he was "under constant threat". Cool post. I think Nostradamus is a fascination for many of us. Although I’ve heard plenty about his “prophesies”, I’ve never taken the time to investigate it myself. It was news to me to hear how vague he was in his predications, even though it doesn’t come as much of a surprise.